Headquartered in St. Paul Minnesota with branches in Crystal and Shakopee, Prescription Landscape serves discerning commercial clients across the entire metro. We specialize in land care to include construction, snow-ice management, grounds maintenance and water management. We bring extensive experience and professionalism to every client and customize our support to your individual needs and concerns. Our team is certified and credentialed. Prescription Landscape puts a priority on working in close alignment with current horticulture practices, advanced land care technology and respected professional organizations —all to deliver you the exceptional advice that will result in sustainable, healthy and beautiful landscapes. Prescription Landscape acquired Arteka Outdoor Services in June 2017 and one year later, brought core leaders of the landscape construction team on board. 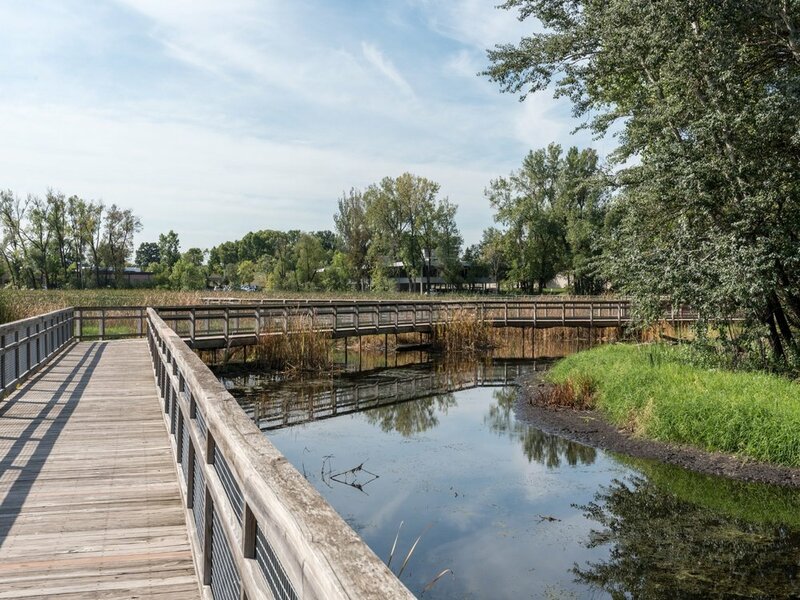 With their 37 year history of reputable and award winning landscape construction services in Minneapolis-St. Paul, Prescription Landscape is thrilled to now be able to provide a complete portfolio of experienced services to commercial campuses and corporate sites. Get in touch with us to set up a consultation today! From bidding to project completion, the commercial landscape construction process is exacting. Read more. Landscape enhancements improve the curb appeal and value of your property. Our professional team of architects, horticulturists and arborists ... Read more. Our professional landscape experts understand that every property has different needs so we offer a comprehensive array of services. Read more. Plants and trees add beauty to a landscape but they also add measurable value. Minnesota plants and trees need to be climate-appropriate ... Read more. To ensure your property is safe and fully accessible throughout the snow season, our credentialed snow and ice management crew ... Read more.